Hamsters are among the top 7 ideal first pets for children. The list includes gerbils, rats, guinea pigs, mice, leopard geckos, and Madagascar Hissing Cockroaches. Aside from being cute and low maintenance, they are generally great beginner pets for kids. For thousands of people around the world, hamsters are the perfect pets. They can be fun companions and affectionate to the entire family. But for those who are looking to have added a hamster to the family, it is always a good practice to do as much research and gather a lot of information before even choosing their potential pet. How safe are hamsters for kids? Which breed should I want? Are hamsters friendly? These are just some of the questions we intend to answer in this article. Which Types of Hamsters Can be the Friendliest? 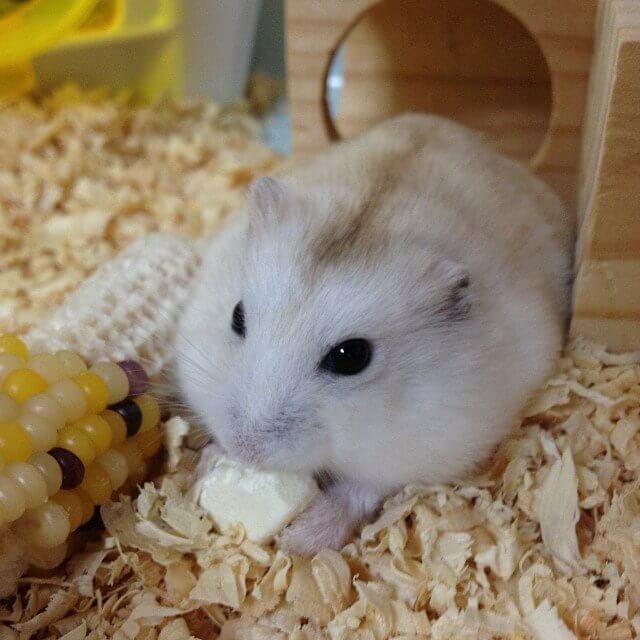 The word ”hamster” connote many different species around the world. China, Syria, and Siberia to name a few. Hamsters got this name because of their strong tendencies of hoarding food. Even though there is plenty of supplies available, hamsters still spend a lot of time hoarding or collecting food to survive when times are scarce. Some environmental conditions continue to affect domesticated hamsters so that owners still find stashes of food carefully managed by the hamsters inside their enclosures. When it comes to its origin, the original group of hamsters was sighted and captured in Syria in the 1800’s. After that, their popularity has increased to a great extent. Now they have become one of the most popular choices in a pet. Hamsters are small rodents with short legs and short tails. These are quite standard features for a creature which spends most of its time living underground. The ears, feet, and tail are covered in beautiful fur while a much thicker coat which shields the rest of the body. They also have special cheeks which they can extend to load a lot of food. When it comes to breeding, there are three main types of hamster kept as pets. These are the Chinese, Dwarf, and Syrian hamsters. Currently, there are more than 20 recognized species worldwide. These different breeds have different physical and behavioral characteristics which are primarily adapted to thrive in their areas in the world. When deciding on which hamster to pick as a pet, it is essential to know how much caring you want to give to them. It will also determine whether you can keep all hamsters together. It is because there are different behaviors and temperaments between species. Almost every species of a hamster is gracious with their owners. But this friendliness does not solely depend on their type. Factors such as gender, tameness, or whether or not they will live on their own have a lot to play in determining a hamster’s friendliness. Typically, Syrian hamsters are sociable and friendly once tamed. In many countries, they are a good option as pets because of their ability to bond well with their owners. Syrian hamsters are the largest and most popular amongst pet hamsters, and one reason for this is their size. The size makes them easier to handle, especially by children. Because they are quite large and chunky, they move a lot slower than smaller counterparts. Another distinct characteristic of Syrian hamsters is that they prefer living alone in their enclosures. It can make them rely more on their owners for excitement and entertainment. Since they don’t have any companion to play with, they tend to quickly develop a strong bond of friendship with their owners whenever they get to spend time together. Although some owners claim that this species is a little timid, in reality, Chinese hamsters can be friendly companions. Besides that, they move very precisely. Therefore, they may need an owner who can feel comfortable enough to handle them. You can keep Chinese hamsters together. You can prefer to keep them with other hamsters of the same breed. But since these creatures are territorial, it is best to have another handy cage. Due to their small size as compared to the other breeds, dwarf hamsters are the fastest moving species. It is an important trait to look for when selecting it as your potential pet. The speed at which these hamsters move can make handling them a bit tricky, if not challenging. Some Winter Whites can be so speedy and may scamper out of your hands very quickly. Besides these though, Dwarf hamsters are capable of being very affectionate and friendly. Some hamster owners report that Roborovski is not exactly the friendliest of the hamster family. It is one of the harder breeds to tame. Roborovski may not be the best choice for prospective hamster owners who can be quite apprehensive when it comes to handling these animals. It requires a lot of patience and energy to train hamsters to be more “hand-friendly.” In this regard, here are three rules you may want to keep in mind. Make a habit of cleaning your hands before you pick up your hamster. It especially applies when you have more than one Syrian hamster. Keep in mind that hamsters see using their noses. If the scent of a Syrian is present in your hand when picking up another Syrian hamster, the one in your hand may perceive this as a threat or attack by the other hamster. Never wake your hamster suddenly. In the wild, hamsters spend a lot of time underground and are rarely disturbed. They sleep very deeply, and when you wake them suddenly, that means trouble! When waking your hamster, speak in a soft, gentle voice. Avoid sneaking up on a hamster. Hamsters are not very strong, aggressive or agile. They are very cautious of sudden changes in their environment. Before picking up your hamster, always let it see your hand first for a little while before approaching it. Be sensitive and prudent when you pick up your hamster. When picking up your hamster, always use both hands and put one hand under for support. Try to lift them towards you and not away from you. It lessens the likeliness that the hamster will jump, and will also help foster familiarity towards you. Proper handling is a primary key in establishing trust and a hamster’s friendship. Also, try to avoid their bites. While a hamster’s bite may not be dangerous, it indeed is no fun. Hamsters are not only cute but also cuddly animals. They have a big heart to create a friendship. But just like us humans, they can have their distinct personalities. The environment and owners play significant roles in molding a hamster’s personality. It may take a lot of time and effort, but with proper caring, patience, and understanding of their nature and behavior, they will not only recognize you but will be your friends for life.